What patriot would refuse to fight for the nation that they love? The Bullet For Her Premium T-Shirt is straight-to-the-point patriotic t-shirt that will remind everyone around you of the troops who risk their lives for our freedoms. 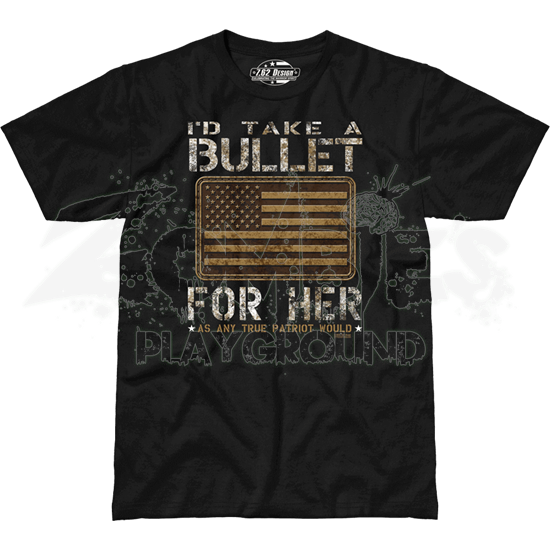 This military t-shirt features a grayscale American flag in the center of white text reading, ID TAKE A BULLET FOR HER. In smaller, black lettering, the text continues, As Any True Patriot Would. 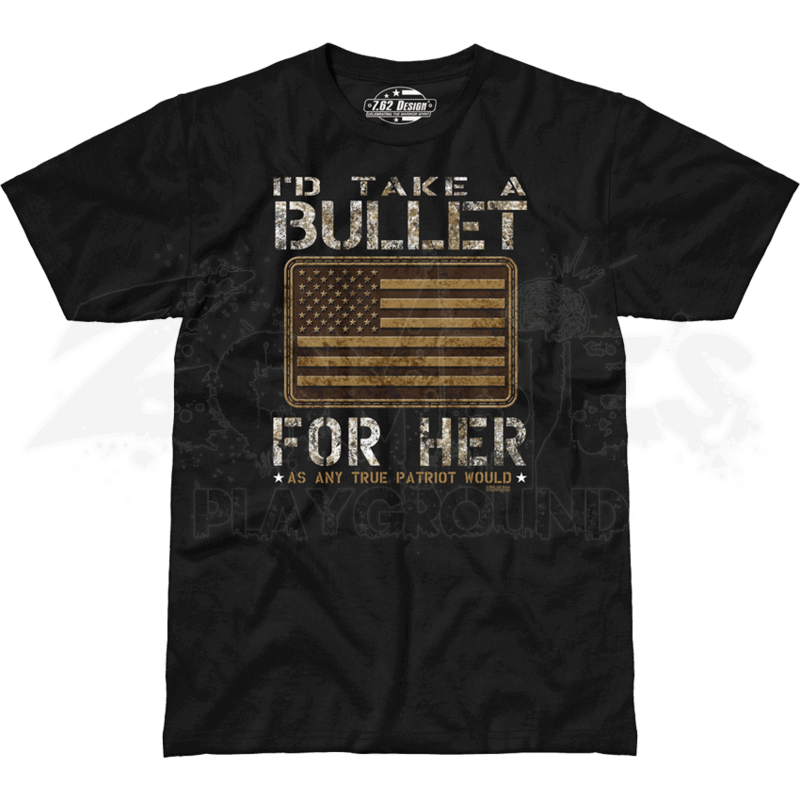 The Bullet For Her Premium T-Shirt does not just support American troops but serves as a heartfelt call to patriotic action.